Tagline: Courage is rightly esteemed the first of human qualities; because it is the quality which guarantees all others. 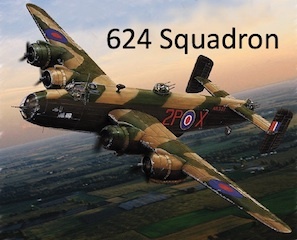 Story: 624 SQUADRON is a WWII drama that chronicles the ill fated crew of a RAF Bomber Command squadron, whose responsibility was to give air support and transport to British Special Operations behind enemy lines deep in Nazi occupied Southern France, and a clandestine band of French resistance fighters and saboteurs whose mission was to hold back a battle hardened German military from sending reinforcements to the beaches of Normandy, in the summer of 1944. 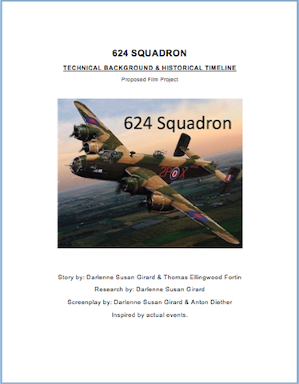 Technical Background and Historical Timeline available upon request.